Van Cleef & Arpels bird brooch. Image courtesy of nytimes.com. A handful of years ago, I was studying the History of Decorative Art and Design through a program based at the Cooper-Hewitt National Design Museum in New York. 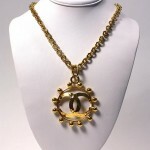 The spring of my first year there the museum was preparing for a big Van Cleef & Arpels exhibit. Security was beefed up; we suddenly needed to have our school identification badges on us at all times, and our bags were searched every time we left the building. I—still pretty naïve in a lot of wonderful things (like renowned vintage jewelry designers, apparently)—was sort of miffed what all the fuss was about. It wasn’t Cartier, it wasn’t from the Tiffany’s store I would walk by on Fifth Avenue on my way to the subway some days…what could be so great about it? Van Cleef & Arpels “Set in Style” exhibit at the Cooper-Hewitt National Design Museum. Image courtesy of theshophound.com. And then one day after the exhibit had opened, I snuck up in between classes. I was planning on strolling across the street to Central Park for some fresh air before forcing myself to the stuffy, dark (but wonderful and amazing) library to start work on a paper whose due date was quickly approaching. I decided all that could wait, though, and wandered upstairs to the gallery. As soon as I stepped over the threshold, I understood what all the fuss was about. There were all these glass globes placed over displays of glittering pins, brooches, necklaces, figurines, rings, and bracelets. There were butterflies and flowers, little dancing ladies and peacocks, and strands and strands of colorful, exquisite pieces of jewelry. I walked from station to station, bent down and as close as I could get to the glass dividers, wondering why I had ever thought this may not be the most beautiful thing in the world. 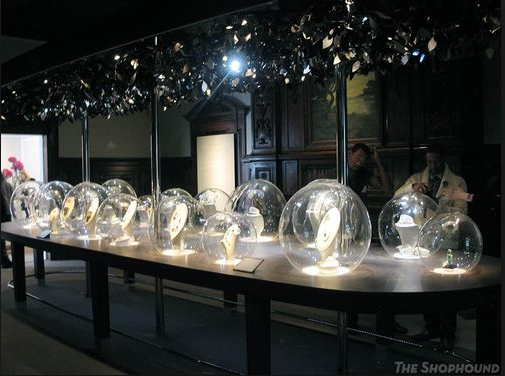 By that time, the exhibit had been open for several weeks, but had still drawn quite a crowd—and they all knew, long before I walked in the door—that Van Cleef and Arpels really is worth fussing about. 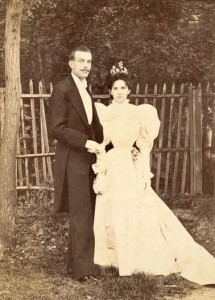 Estelle Arpels and Alfred Van Cleef. Image courtesy of vancleefarpels.com. 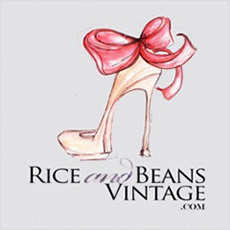 The company’s roots go back to the end of the nineteenth century. In 1895, Estelle Arpels (the daughter of a precious stone dealer) had married Alfred Van Cleef (the son of a stone-cutter), and in 1906 Van Cleef joined with Estelle’s brother Charles Arpels (a salesman) to form the Maison of Van Cleef & Arpels in Paris. A few years later Estelle’s brother Julien joined the firm, and a few years after that her brother Louis became part of the company. 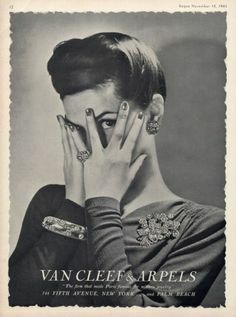 Vintage Van Cleef & Arpels advertisement. Over the decades, Van Cleef & Arpels has proved to be elegant and classic, while still retaining modernity and new technique. All the way back in 1933 the company was granted a patent for a proprietary gem setting style they called the Serti Mysterieux (“Mystery Setting”). This technique involved creating an invisible setting that allowed for stones to be set flush to one another without any visible metal mountings. Although not the first company to develop the technique (nor the last to use it), Van Cleeef & Arpels is undoubtedly the company that used it most frequently and most effectively. In 1938 the company was granted a patent for a technique to use invisible settings on curved and twisted surfaces. Some time ago, the four-leaf clover became the company’s emblem, symbolizing luck, fortune, and health. 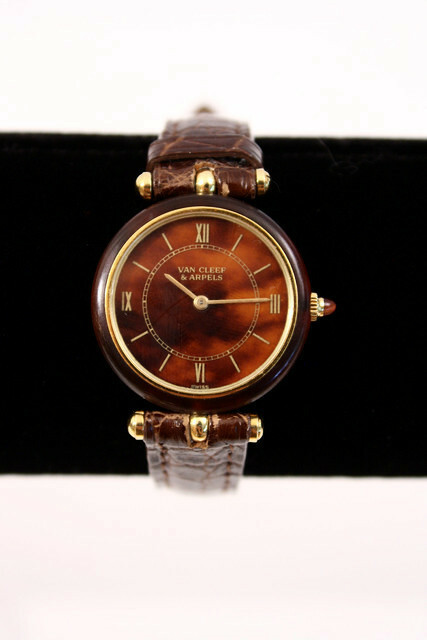 Vintage Van Cleef & Arpels watch, courtesy of Rice and Beans Vintage. In the past decades, Van Cleef & Arpels has developed a fragrance line, as well as a watch line, and designed handbags and scarves, and other fashion accessories. Here at Rice and Beans Vintage we are lucky enough to have a beautiful vintage Van Cleef & Arpels watch that recently came in to our inventory—check it out, I promise you won’t be sorry! And the next time you see an advertisement for a Van Cleef & Arpels exhibit, or pass one of their stores, do yourself a favor and check it out—it’s worth the fuss.